We are excited to announce that our Chicago small dog rescue, ROMP Rescue, united both Cooper and Dewey with forever homes recently! 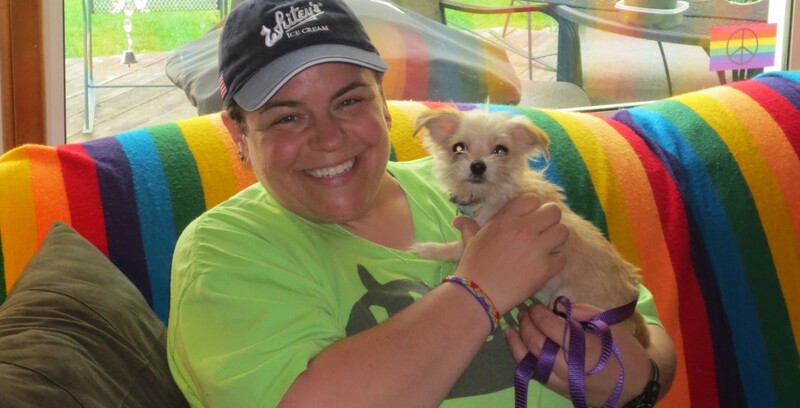 These cute little fur babies will be forever in their loving Chicago homes! Here are some adoption day photos courtesy of our adoption coordinator at ROMP Italian Greyhound Rescue! Beckham (now known as Cooper) and mom Kim, human sister Sarah, and “brother” Charlie on his adoption day! Awwww! 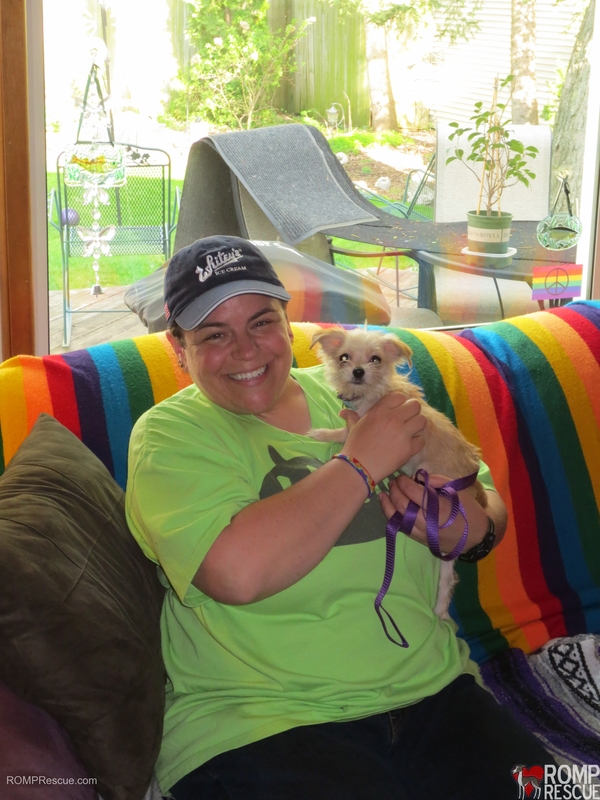 Dewey and his forever mom, Carla! We wish you all many smiles, laughs, and a lifetime of unspoken and unwavering love! Thank you for adopting a rescue, thank you for opening your heart and home, and thank you for becoming part of the ROMP Rescue family! Are you in the Chicagoland area and are looking for a doggy meetup to take your current or future pup to so they can socialize and exercise? Join our free Meetup.com group COME SIT STAY PLAY to stay informed on our upcoming Chicago dog play dates: http://www.meetup.com/ROMPRescue We go to the dog beach, the dog park, we have pup painting classes, learn how to do doggy CPR and more! Come, sit, stay and play with our pups! 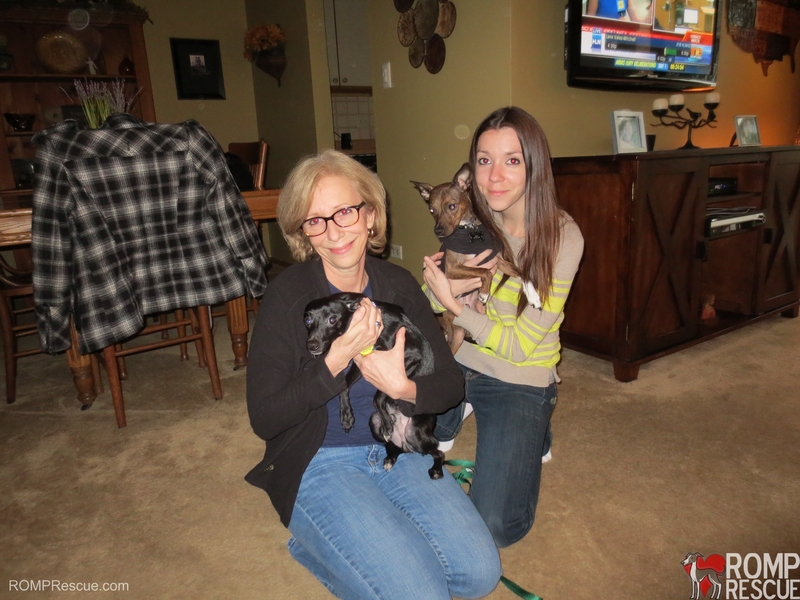 This entry was posted in ALL, Success Stories and tagged beckham, chicago, chicago dog rescue, chicago small dog rescue, cooper, dog, doggy, dogs, italian greyhound adoption, italian greyhound rescue, pet, pets, ROMP Rescue, small dog. Bookmark the permalink.